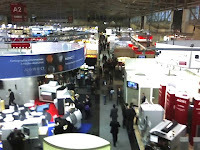 Much has been made of the attendance numbers at productronica 2009 this year in Munich, Germany. As economic reports have trumpeted a better 2010, and electronics manufacturers have started to see a ramp in RFQs and orders, productronica’s attendance numbers jumped higher than anticipated. What kind of attendee visited the November electronics manufacturing show? From SMT’s informal poll of exhibitors, the attendance base was more European and, of those, more German than in prior years, with fewer attendees from Asia and the U.S. Many exhibitors pointed to Hungary and other Eastern European countries as sending motivated attendees — those sourcing equipment and materials to purchase. Eastern Europe has a well-trained workforce for electronics manufacturing, according to many companies that sell equipment into the region. It is also linked via a strengthened infrastructure to the EU, with cultural similarities outpacing Euro-Asian business partnerships, and lower transportation costs than the Asia outsourcing model. The difference in labor costs between Eastern Europe and Asia can often be offset by transportation costs, time-to-market, and collaboration abilities. Several large EMS providers run facilities in Eastern Europe as well as Asia: Elcoteq operates in Hungary and Estonia, in addition to its China and India locations. The EMS provider states that it is interested in a broad range of customers, and this diversity of manufacturing bases can help achieve this. Flextronics recently made an acquisition in Slovakia to bolster its medical capabilities. While none of this is new, productronica 2009 bore out the proof of Eastern European electronics manufacturing surviving the 2008–2009 recession, with companies selling equipment to Eastern European manufacturers, and many exhibitors saying that their most solid potential-customer interactions came from assemblers in this region. The proportion of foreign visitors to the show fell slightly to 42% (2007: 45%). However, there was a further increase in the expertise of visitors. The number of decision-makers rose from 88% in 2007 to 91% this year. The proportion of visitors from the top management level in their company increased from 15% in 2007 to 19% in 2009. 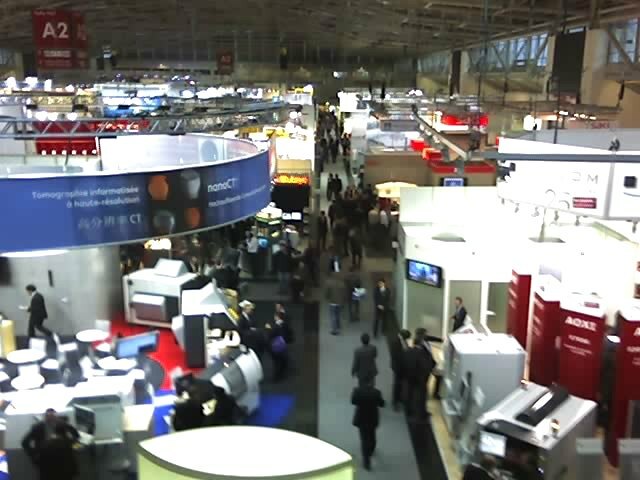 What drove the higher pan-European attendance at productronica 2009? Many possibilities exist, and it was likely a play of many factors coinciding. Travel budgets are limited for virtually every company, making international attendance more challenging. Asia has 4 major tradeshows coming up from end of 2009 through mid-2010, including Nepcon Japan, Nepcon China in Shanghai, Nepcon South China in Shenzhen, and Bohai Electronics Week in Tianjin. Asian manufacturers looking to add capacity or source new materials could likely wait for these regional shows to peruse the market, especially as investment budgets are still cautiously guarded. However, the increasing desire for smaller lot sizes, more reliability, and increased OEM/EMS interaction sets the stage for Eastern Europe to gain importance on the global manufacturing scene. With better trans-European infrastructure, cultural similarities, and a limited-cost workforce, near-sourcing to Eastern Europe is an attractive option for companies seeking those aforementioned qualities. For more on the shift away from Asia outsourcing, read Is the Migration of Electronics Manufacturing to Asia Slowing? from Charlie Barnhart Associates.